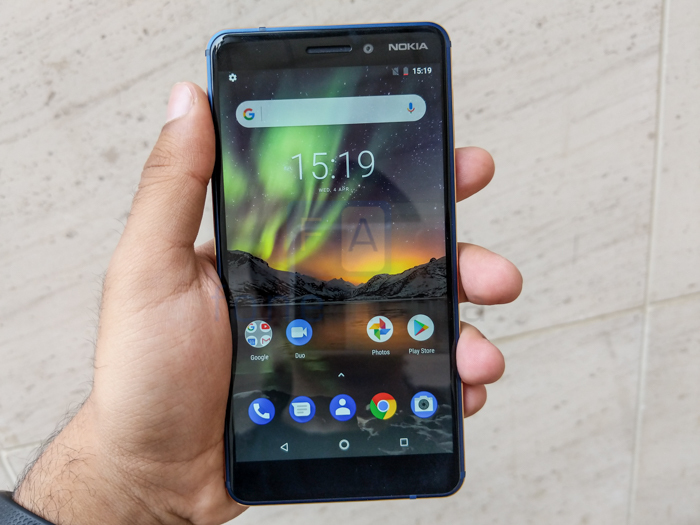 While the Nokia 1, Nokia 7 Plus and Nokia 8 Sirocco Edition might have stolen the limelight, the all new Nokia 6 2018 Edition is equally positioned to bring the best that Nokia has to offer at a decently competitive price point. We first got a glimpse of it at MWC earlier this year but now that it has been officially launched in India, here’s a closer look. At the launch event in Delhi, the company made a big deal of how important build quality is for them. This becomes pretty obvious the moment you pick up the phone. Up front, there’s a 5.5 inch Full HD display with Gorilla Glass 3. Nokia has skipped out on the recent trend of 18:9 displays and to be fair, we don’t think you are missing out on much. The slimmer aspect ratio makes a lot of sense with bigger displays but by reducing bezels all sound, the Nokia 6 doesn’t pose any accessibility-related concerns. The screen itself is bright enough to view outdoors and delivers rich and well-saturated colors. The right side of the sports the volume rocker with a power button below it. Meanwhile on the left is a Hybrid SIM slot. Up top is a 3.5mm audio jack while at the bottom is the USB Type C port. The port selection is fairly standard. 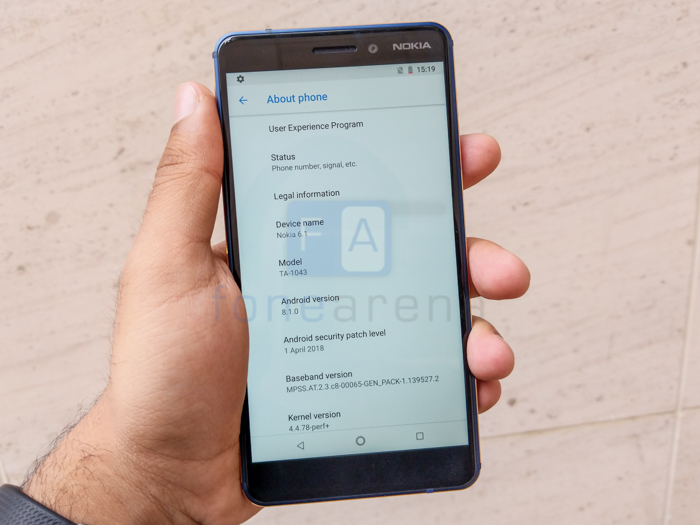 Internally, the Nokia 6 runs on a 2.2GHz Snapdragon 630 chipset paired with 3GB of RAM. Storage onboard is 32GB and you can expand that via the microSD card slot if you ditch the second SIM card. 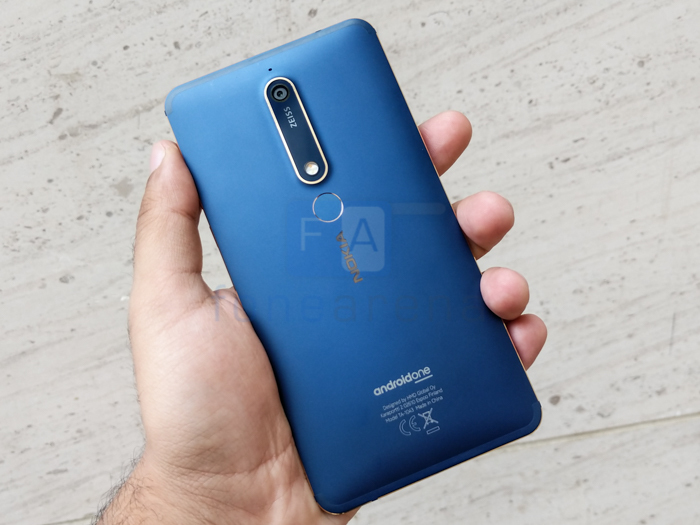 The Nokia 6 like most of Nokia’s latest devices is part of the Android One initiative that aims to deliver the newest updates as fast as possible. The Nokia 6 runs on Android 8.1 and has the latest April security updates onboard. 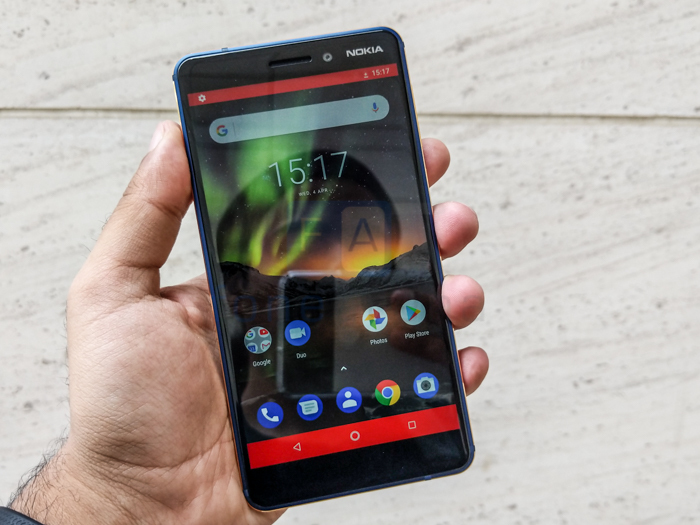 It’s a bit early to give a final verdict on performance but it seems that Nokia has managed to eke out quite a bit from the Snapdragon 630 chipset and the experience appears to be very smooth. 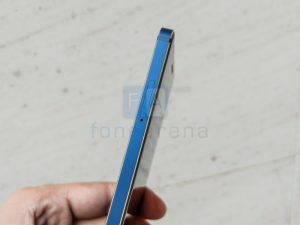 The back of the Nokia 6 makes it look like a particularly high-end device, more so in the midnight blue and gold combination. Up above you’ll notice the 16MP camera with Zeiss optics and the LED flash. A fingerprint scanner is placed below it. Image quality appears to be a marked improvement over previous generation hardware and we can’t wait to put the phone through its paces. 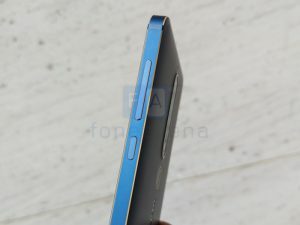 All in all, the Nokia 6 2018 Edition appears to be a well-rounded package. The company has done a great job with the look and feel of the product and it absolutely punches above its weight. Priced at Rs. 16,999, the Nokia 6 might not pack the most powerful hardware around but it can easily hold its own in terms of experience, build quality.